England have overtaken South Africa in the World Rugby rankings following their victory over Australia and South Africa’s loss to Ireland. England, who earned their first-ever win over Australia in Brisbane on Saturday, were fourth in the world rugby rankings but they have changed places with South Africa who lost to 14-man Ireland in Cape Town. 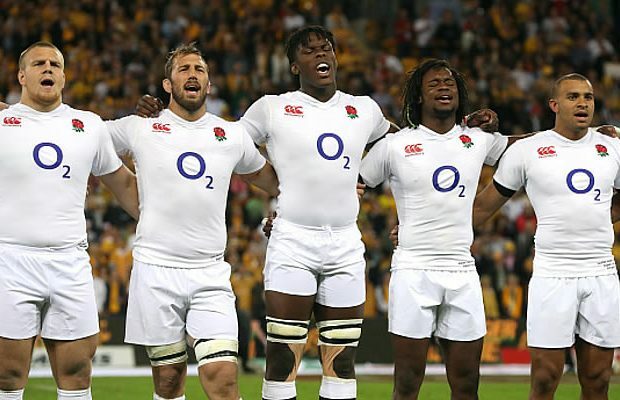 England’s 39-28 victory at the Suncorp Stadium on Saturday increased their rating points by 1.77 points to 86.37. Unbeaten in seven games under Eddie Jones, England are now 0.71 of a point better off than South Africa and just over one point behind Australia, who they would have overtaken too, had they managed to put five more points on the Rugby World Cup 2015 runner-up. Ireland, playing with 14 men for the best part of an hour following the dismissal of South African-born flanker CJ Stander midway through the first half, produced a superb performance to ruin Allister Coetzee’s debut as Springboks head coach. Tries from Jared Payne and Conor Murray and 16 points from the boot of Paddy Jackson saw them to a famous 26-20 victory at Newlands which also earned them two full rating points. Unfortunately for Ireland, the heroic effort in Cape Town was not quite enough to lift them any higher than their current position of seventh in the rankings. However, Joe Schmidt’s side are just less than two tenths of a point behind Wales, whose total remains unchanged despite their 39-21 loss to the All Blacks, who also stay as they were at the top of the rankings. 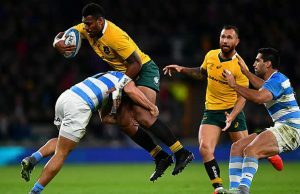 Vereniki Goneva’s late match-winner against Tonga not only handed Fiji a winning start to their defence of the World Rugby Pacific Nations Cup title, it also helped them back into the top 10 nations at Japan’s expense. Fiji’s victory came with a 0.17 of a point reward, enough to lift them above the Brave Blossoms, who only gained two hundredths of a point after hanging on for victory away to Canada. Trailing 26-22 with seconds to go, Canada were camped on the Japanese line and would have achieved a first win over the Brave Blossoms for over a decade – and also climbed above USA in the rankings in the process –had prop Djustice Sears-Duru managed to ground the ball over the line. Georgia’s first-ever test match in the Pacific Islands ended in a 19-19 draw against Samoa, and as a result there was no change to either nation’s ranking with the Lelos still 12th and Samoa 15th. Lasha Khmaladze could have won it for the Lelos but his late drop goal attempt was off target. 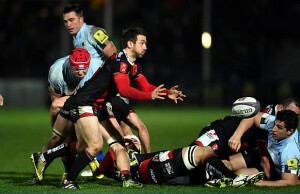 Meanwhile, Conor O’Shea’s first match in charge of Italy ended in a narrow 30-24 loss to Argentina in Sante Fe. Again, the result had no effect on either nation’s ranking position with Argentina unchanged in fifth and Italy 14th. Earlier in the week defending World Rugby Nations Cup champions Romania began this year’s competition with a 20-8 win over fellow Rugby World Cup 2015 participants Namibia. The Oaks pick up 0.43 of a rating point but there is still some daylight between themselves and Samoa, the side immediately above them in 15th. Namibia, however, are in danger of being overhauled in 21st place by Spain. The weekend’s action came to a conclusion in Antananarivo on Sunday with a 24-15 victory for Madagascar over Zambia in the Africa Cup Division 1B, a result which did not affect either countries position in the rankings. They remain 41st and 83rd respectively.